I came to UK on 23 Sep 2010, to my first destination: a little city called Wrexham in Walse. It was the very first time that I crossed the boarder of China, and set a foot in a foreign country. I took the flight in Guangzhou, stopped in Singapore, and finally after 23 hours, I arrived in Manchester. The sky is blue outside, and there were cows separating across the bright green fields when university bus carried me on the high way to my new university: Glyndwr. I spent 2 years there, and got a BA of Broadcasting, Journalism and Screen Study. I met a lot of awesome friends and had amazing experience with my tutors and co-workers. Finally, for my last project, I decided to shot a short video for Glyndwr University (available here: International Experience at Glyndwr ). We also created a video introducing Wales’ National Day: St. David Day (available here: St. David’s Day). During the shooting of ‘St. David’s Day’, each of our team member had a yellow daffodil brooch pinned in front of our chest. I saved this yellow daffodil brooch as a souvenir of my two years study in Wales (Picture 1). 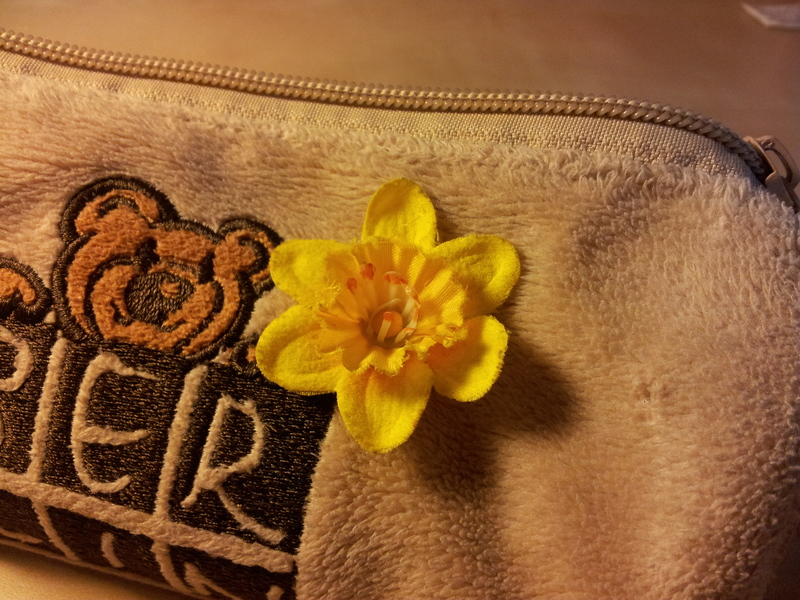 Picture 1: A Welsh daffodil on the pencil case. The daffodil is the national flower of Wales, and is worn on St David’s Day each 1 March. During my two years in Wales, I have visited many places in Wales: Cardiff, Capital of Wales, Llandudno and Llangollen, Colwyn Bay, Barmouth, Lyme Park (the shooting set of Price and Prejudiced), Bala Lake, Errdig Park and Holywell, etc.. All these Welsh memories can be represented by this lovely little yellow daffodil. Whenever and wherever I see this flower, the bell of Wales is rang. I also visited other British cities other than those in Wales. Edinburgh is an amazing city full of mysterious stories. It was shocking for me that a tomb ground / grave yard which is hunted can also be a tourist attraction. I joined the night tour, following the route which many ghosts (of human and animals ) were seen by people and animals… What a interesting and chilling tour! Each of the tourist has a torch light to make oneself feel a little safer in the trip to see ghosts. 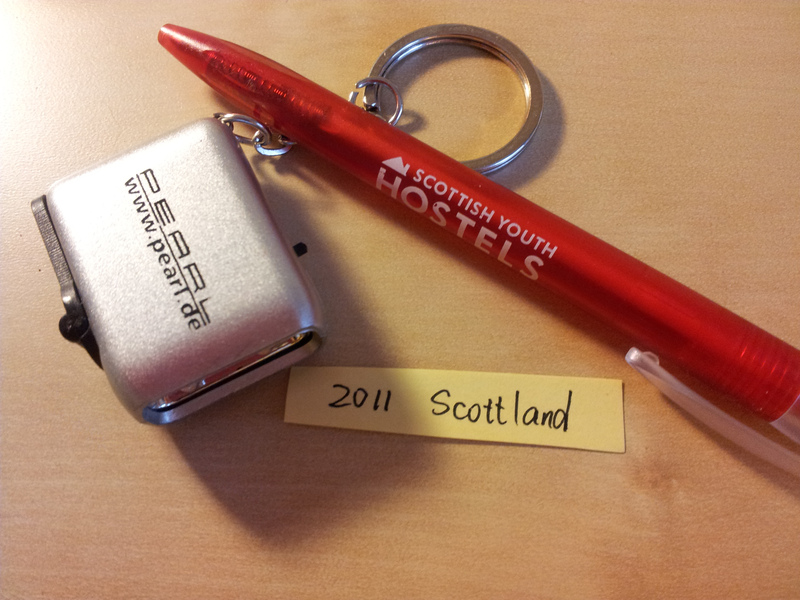 Picture 2: A torch light from a night walk in Edinburgh and the ball-pen from Youth Hostel in Edinburgh. Apart from UK, I visited some cities in West Europe. The most amazing experience in Glyndwr was that I had lots of international friends, to whom I can pay a visit. 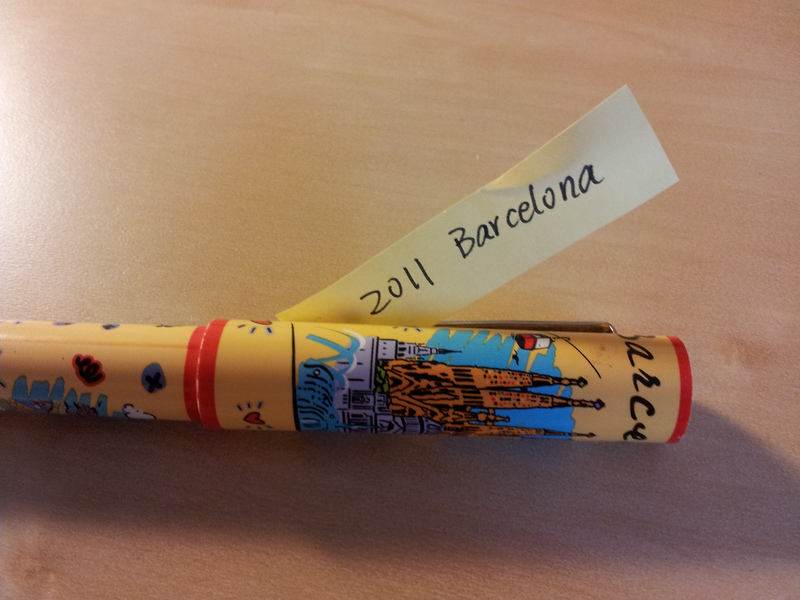 Barcelona, Berlin, Paris, they consisted lots of good memories. During the study of media in Glyndwr, I became interested in geographical magazines, which directed me to the MA of Cultural Geography. So I took a master course in Cultural Geography in Royal Holloway, University of London. It was an amazing experience as well. I learnt a lot, and everyone, especially staffs in the Geography Department are extremely nice. But being a post-graduate student, apart from studying hard and travelling around, I started to have part-time jobs to support myself. 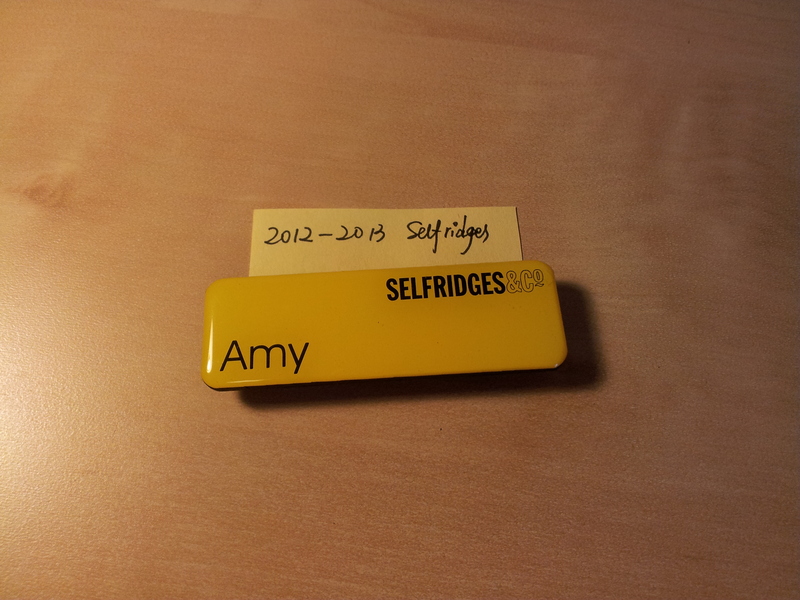 Name badge from the stores I have worked in are in my collection of souvenirs in my pencil case. 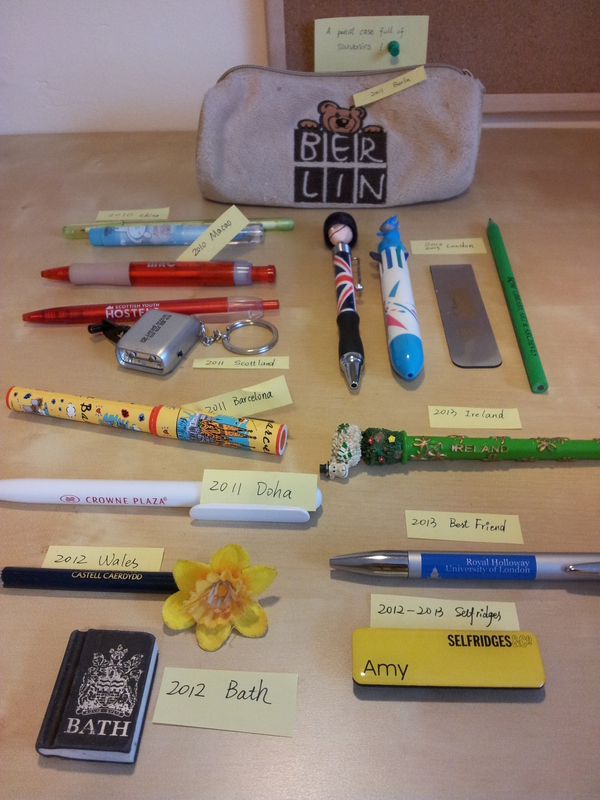 I put all these souvenirs in my pencil case which I got when staying in Berlin. Actually I got a special cup in Potsdamer Platz, but I lost it during one of the process of home moving. Only this pencil case which I carried with me everyday stayed alive these years. I feel different after visiting each place and having new experience and thus I feel the desire to take away some token of the place, as a memento, to remember my visit and to evidence my experience. These souvenirs made my visiting and experience material. I seek ‘a sign of our experienced reality made material’ (Price, 2013:116), and these souvenirs ‘help(s) convert given reality in to experienced reality’ (Carpenter, quoted in Price, 2013:116). These souvenirs make me feel like I can touch the past, and their existing (can be seen visually and can be touched and used daily) in my pencil case present the fourth dimension of my overseas student life. Even though they are mass-produced and might be manufactured in China, they are still a materiel touch of the experience I had outside of China. Got my first book review out!! !